A soft plush duckling from the 2012 Spring Collection from Steiff. 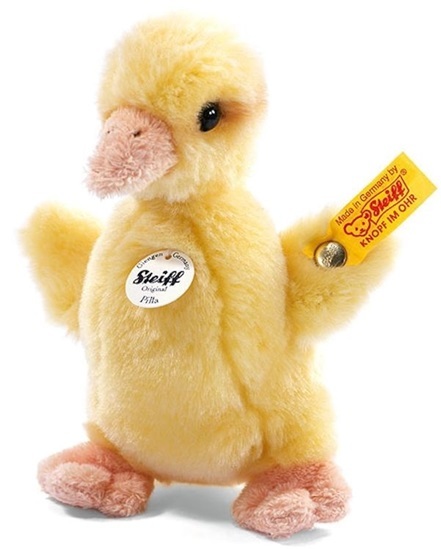 We are pleased to introduce "Pilla Duckling" who is new from the Spring 2012 Soft Plush Collection by Steiff. This duckling stands 5.51" tall and is perfect for cuddling and lots of love. Made of soft yellow woven fur with light orange beak and feet, "Pilla Duckling" is for little folks 4 years and older and is machine washable in cold water.